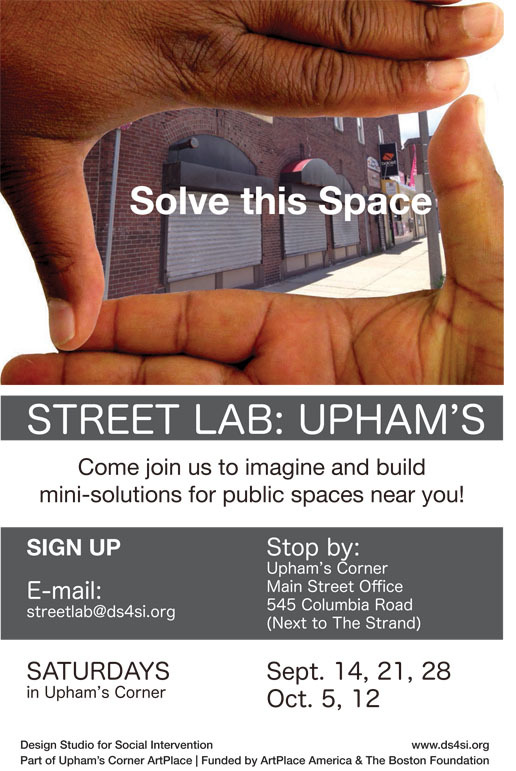 Upham's Corner ArtPlace, in collaboration with residents and a broad range of community-based partners, is seeking to commission a professional artist, artisan, architect, landscape architect, or teams thereof to create artwork for permanent display in the Upham’s Corner neighborhood of Dorchester as part of the exciting increase in transit access along the Fairmount Corridor. Strong preference will be given to a local artist from the Upham’s Corner community, from Dorchester and permanent residents of Boston. Strong preference will also be given to artists who demonstrate an interest in, and experience with, identifying, training and paying local apprentices in community-led art making processes. The selected artist(s) will facilitate a community centered and led visioning, design, site selection, fabrication and installation process that uplifts the local identity and celebrates the richness of the neighborhood and its residents. The budget is up to $500,000 over the course of the project, with $100,000 already secured for Phase 1. For all the submission guidelines, click here. For more information about coming to the information session that we're hosting, contact us at: art [at] ds4si [dot] org.